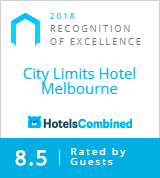 City Limits hotel is conveniently located in the heart of Melbourne CBDand offers easy access to entertainment precinct, MCG, Rod Laver arena and easy tram ride to crown casino. City Limits is at the top end of Chinatown and is within 2 minutes walk to Parliament train station,Princess Theatre, Spring Street end, where guests can visit many restaurants. City Limits feature 32 studio apartments equipped with an air conditioner/heater, direct dial telephones, data port for high speed broadband Internet access Wireless (Wi-Fi enabled), remote control colour LCD TV with complimentary FOXTEL satellite channels including movies, sport and news, work desk, iron and board, kitchenette comprising hot plates, microwave oven, toaster, kettle, fridge, crockery, cutlery and glass ware. Our en-suite bathrooms all contain a shower, bath, toilet, hand basin and hairdryer. Rooms have Australia made Sealy beds and windows with city views that can be open for fresh air. 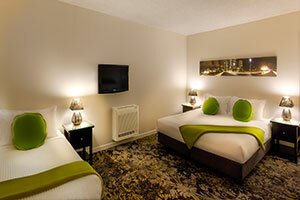 Our rooms are serviced daily to our high standard. Clean and friendly is our main service. On site car park available on request. 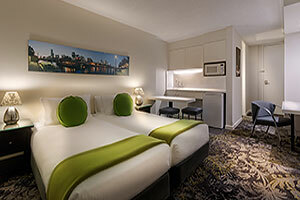 All in all, City Limits Apartments is a great place of stay, if you are visiting Melbourne. 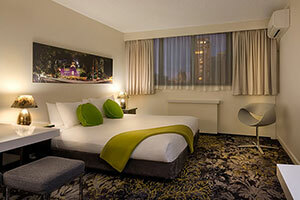 Location, fantastic City Centre Location right in China Town near MCG, Parliament train station and all Major Theatre (Princess Theatre, Regent Theatre, The Academy Theatre and Her Majestys Theatre are all nearby walking distance, free trams and buses can take you to Docklands, Ethihad Stadium, DFO, South bank. Airport bus is also on your door steps. In Melbourne for the Grand Final, Grand Prix, Melbourne Cup, Chinese New Year, Australia Open at Rod Laver Arena, and Flower Show in Fitzroy Garden and Melbourne Museum in Rathdowne and Lygon Street in Carlton? Our fantastic location is within a stones throw away either by walking distance or free trams and trains are available that can take you to all venues. 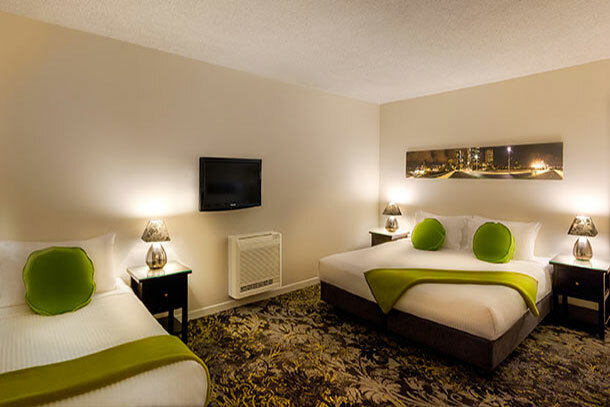 For the convenience of our guests we have a 24-hour reception operated by our friendly and professional staff. We offer a tour desk and can help our guests with things to do in Melbourne during their stay, including car hire and day tours. Our business centre is equipped with computers connected to the Internet for the use of our guests. City Limits, where you are assured of value for money. 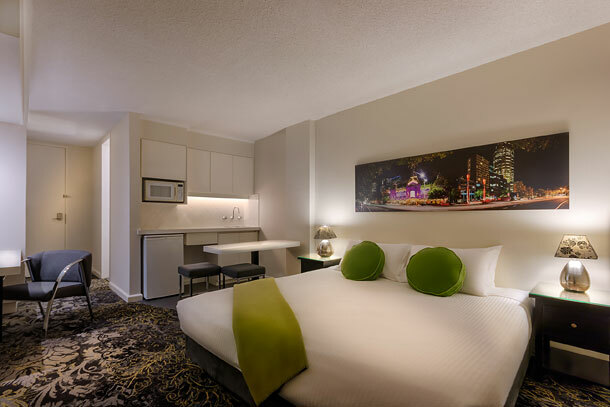 City Deluxe Queen rooms sleeps up to 2 people and have 1 queen sized bed, are equipped with Foxtel, FREE Wifi access, direct phone line, work desk, ensuite bathroom, 24 Hrs Reception, car parking on request. All rooms are non smoking. City Deluxe King sleeps up to 2 people and have 1 King sized bed and seating area. Foxtel, FREE Wifi access, direct phone line, work desk, ensuite bathroom, 24 Hrs Reception, car parking on request. All rooms are non smoking. 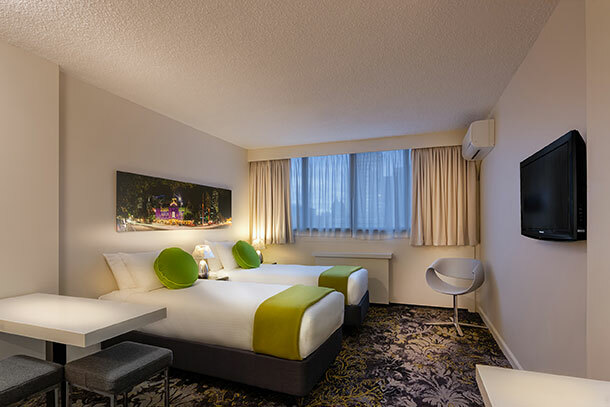 City Deluxe Twin sleeps up to 2 people and have 2 King single beds and seating area. 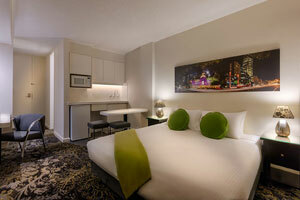 Foxtel, FREE Wifi access, direct phone line, work desk, ensuite bathroom, 24 Hrs Reception, car parking on request. All rooms are non smoking.